A Step by Step Guide To Choose a Dress For Your Body Type. We all know dresses are in trend and posses a favorite dress that we feel confident to wear on multiple occasions. But have we ever thought what is actually a dress? What are the different types of dresses we get? And most importantly what dress style suits best to our body type? Today markets are flooded with various kinds of dresses. They are available in all budgets, many prints to choose from and in all lengths we can think of. But have we ever noticed the particular cut of the dress and will it suit our body type? Mostly NO. What we actually do is go to a shop, hunt for a dress appealing to our eye and leave it on a trail and error method and keep struggling and wondering in the trial room for hours. A dress that is made for your body type needs to fit you at the waist, sit over your hips and come around your legs to show your body off at its best. So if we actually pick the styles, which we think suits our body type the battle is more than half won. 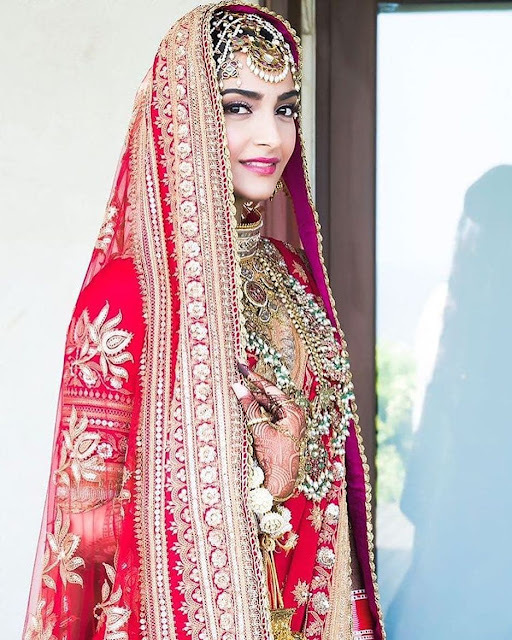 In a series of articles over next few days, our Fashion & Lifestyle Writer- Ruchika Jain will take you through a step by step guide to choose a dress that fits your body type the best. To understand this, first we need to know our body type. 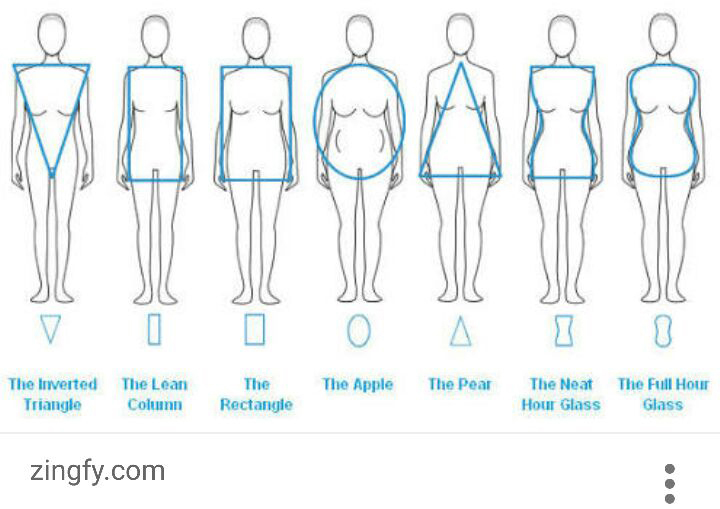 Lets take a look at a simple chart that will help us determine our correct body type. Body type defined? 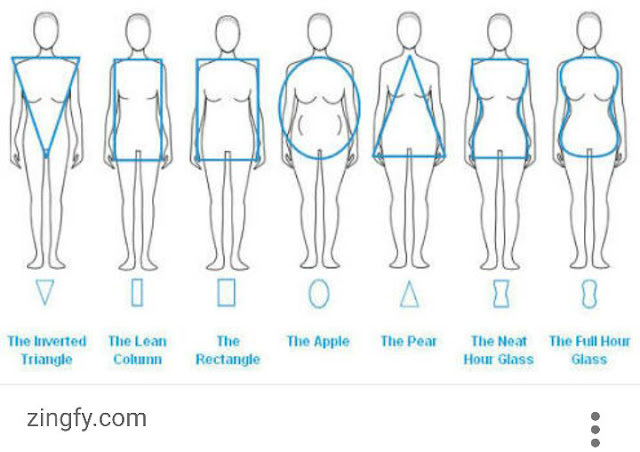 Lets take a closer look at each body type and how to choose a dress that shall help you look at its absolute best. More commonly known as cocktail glass shape, which is broad on top and narrows down towards the leg. Thus you have proportionally larger upper body with broad shoulders, ample bust and a wide neck BUT slim hips, subtle waist and shapely legs with a tendency of gaining weight in your belly and upper body. Challenge: Defining your waist and softening your shoulders. Now lets take a look at which dresses shall suit you best. The dress with a collar and a straight cut and shirt length shall suite you perfectly. To enhance your super shapely bottom opt for an A Line dress. 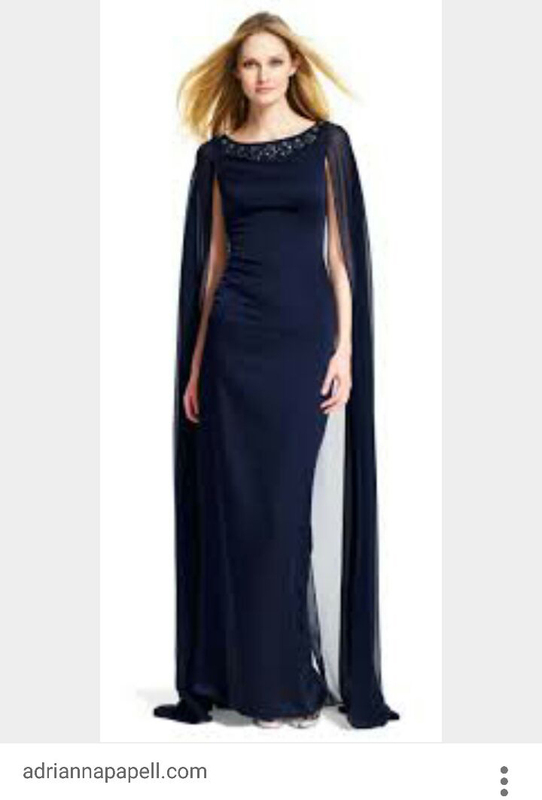 The length and the neckline plays a vital role here. 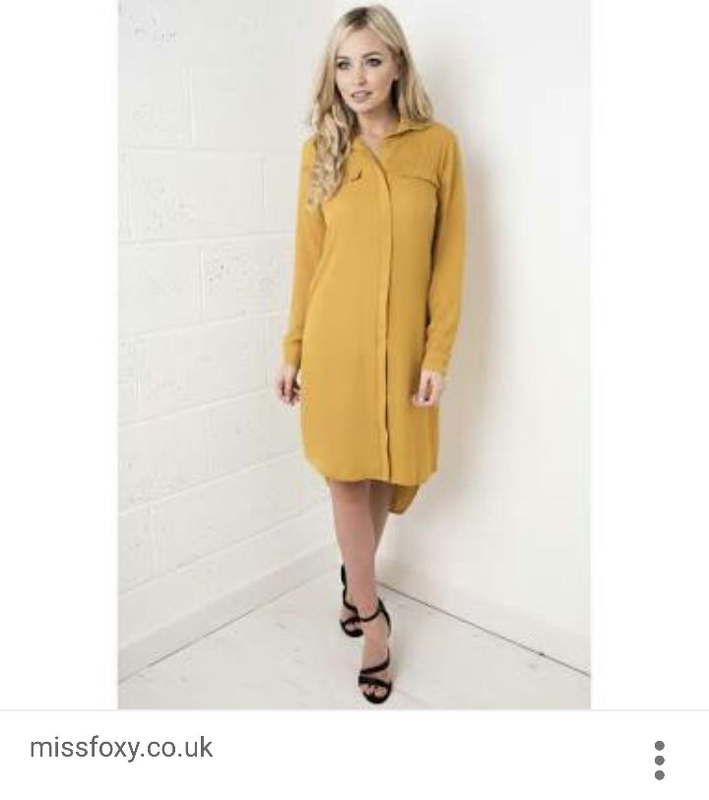 There are so many A Line dresses available today, being most commonly suitable to most body types. But since you are a cocktail glass figure, pick a V Neck, Scoop neck or an Empire neck dress which is nipped at the waist. The length has to be above the knees to show off those perfect legs of yours. Deep shawl collared cape dresses showing off your collar bone and flaunting your long neck shall make you stand out. A dress with a heavy shoulder like a puff sleeve is a complete no. Avoid sleeves with a heavy ruffling/layering at the shoulder too. If you have weight on your belly do not go for an elasticated flair placed just below the bust line. It will enhance the belly making you look heavier. So, we have covered the "Inverted Triangle" body shape and the dresses that suit the type. But you are a diva that is another body type? Stay tuned as we cover other body types in our series of blog. Wow!!!! 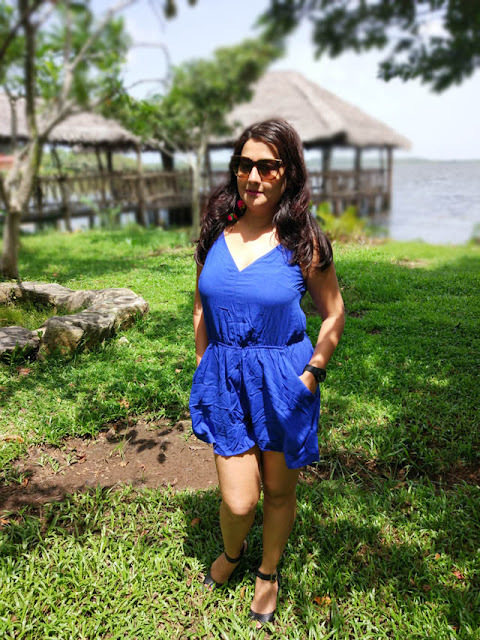 This is amazing information Ruchika....i thought i knew about various body types and shapes, but i realised there's more to it...i loved it ...thank you.....want to hear more from you.